Idea Thief time! This time we’re stealing the idea from… me. Hee hee! 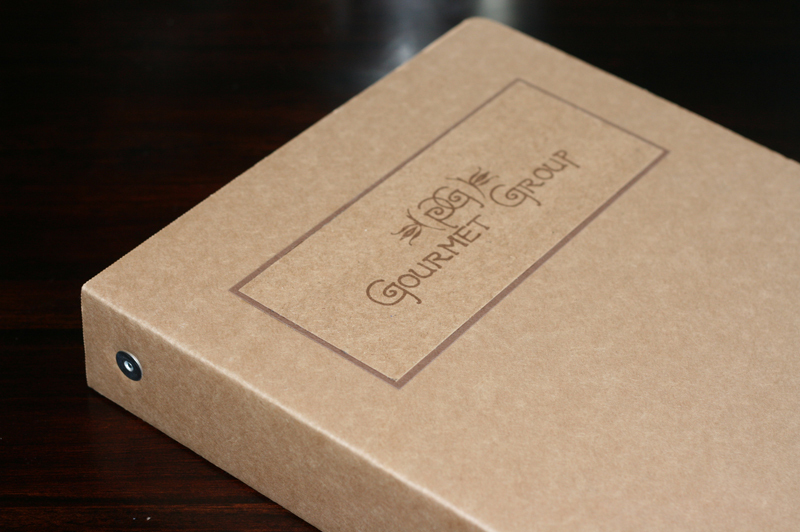 When we were approached to join this group, I thought it would be cool to gather all the recipes everyone makes and create a recipe book just for what we ate at each Gourmet Group gathering. I get a little neurotic and quite honestly feel like a bit of a freak when I’m snapping pics of chimichurri sauce, but I take photos of each item prepared. It’s totally bonkers, but the photos are what makes it a great cookbook. 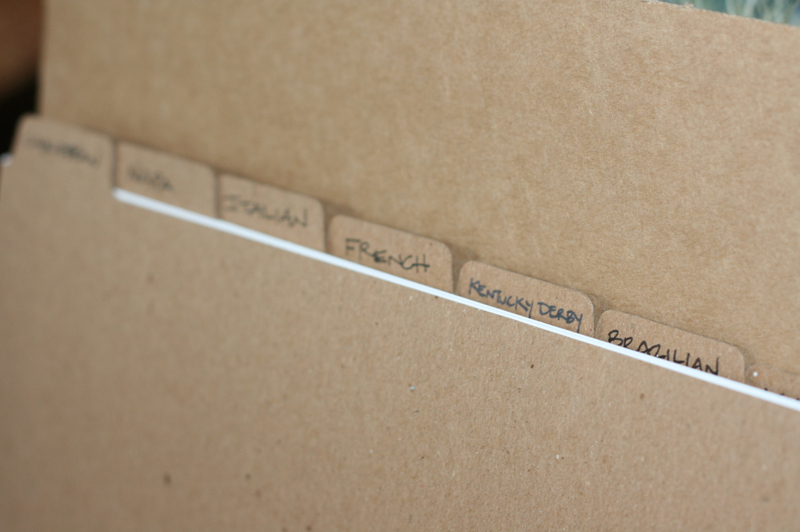 I got these binders and tabs through Rebinder solely because I liked how they looked. 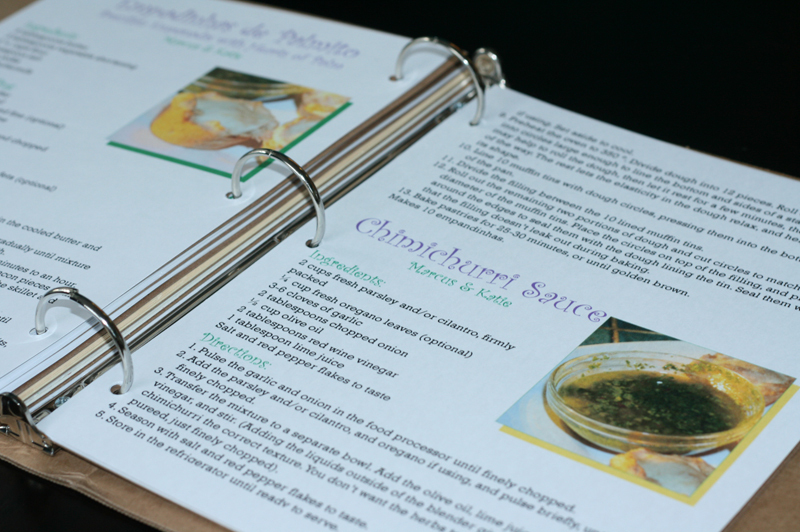 They are NOT kitchen friendly, however, and I might suggest just a plain old white binder instead. This one absorbs the oil and splats that happen when I cook, which I actually think makes it look cool, but might bother a neat freak. The front page in each section has a group shot of the crew, the title of the night, the host’s names, and the date. It’s sorta become a memory book for all of us as well. The photos of the food help me remember if I liked that dish. It’s been great for a dumpster fire of a chef like me, because I can go back into this book, remember what I loved, then serve it at dinner parties and KNOW it will taste good, even if I’ve never made it before. After each gathering, everyone sends their recipes to me. It’s never been hard to chase people down for them because I think everyone really loves contributing to this book. Each couple gets a copy each time around, so that may be part of the enthusiasm as well. 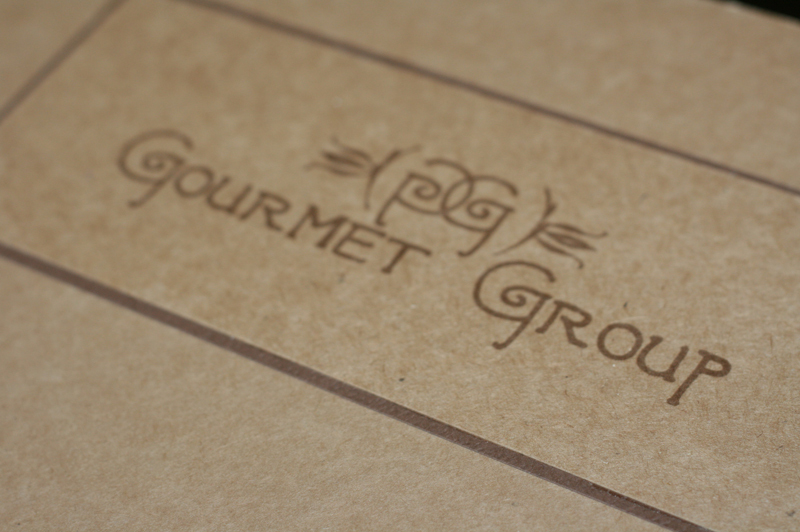 I made us a logo and gocco’d it onto the binder. That’s it! If you do start a group like this, I would highly recommend putting something like this together as well. It’s really worth it in my humble opinion! I hope you all have a lovely, happy and fun weekend! Thanks, as ever, for reading! 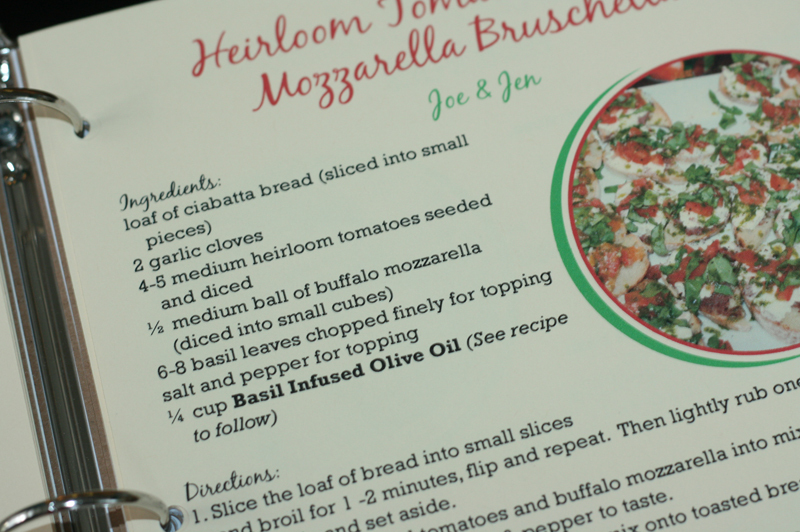 This entry was posted in idea thief and tagged gourmet group recipe book, idea thief, supper club recipe book by Annika. Bookmark the permalink. Loved these last two posts…the idea of a supper club is great. 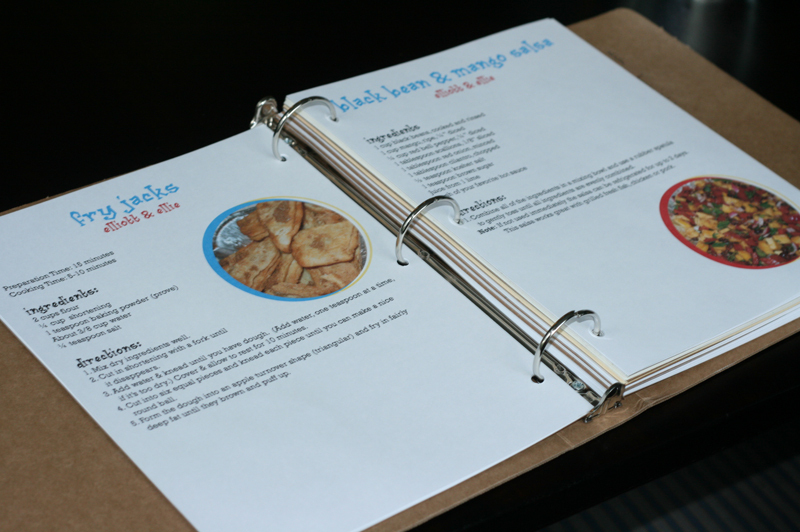 But love the idea of the recipe collection even better. What an awesome way to preserve fun memories!! Thanks so much Summer!! 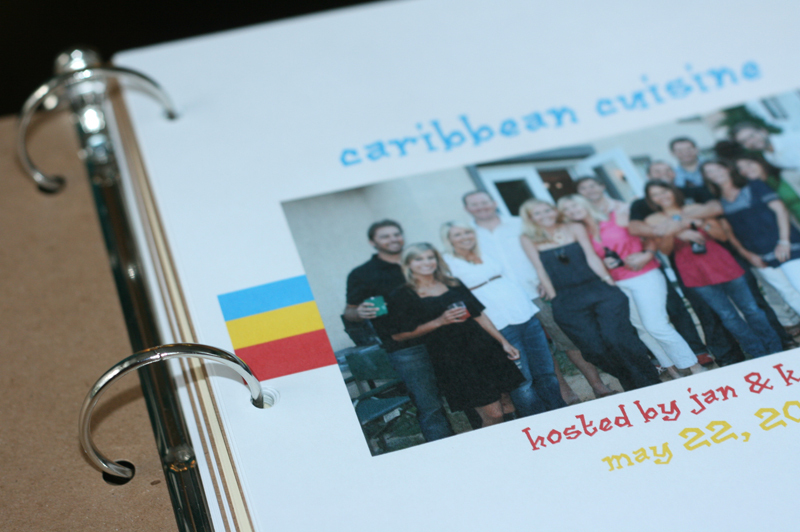 It really is a fun way to get together with friends – and such a great way to store recipes/memories! Thanks for taking the time to write! I really appreciate it! i absolutely LOVE this idea!!! but it must have taken SO much time to make copies for not only yourself but everyone else. i bet they loved them! what fun!! !